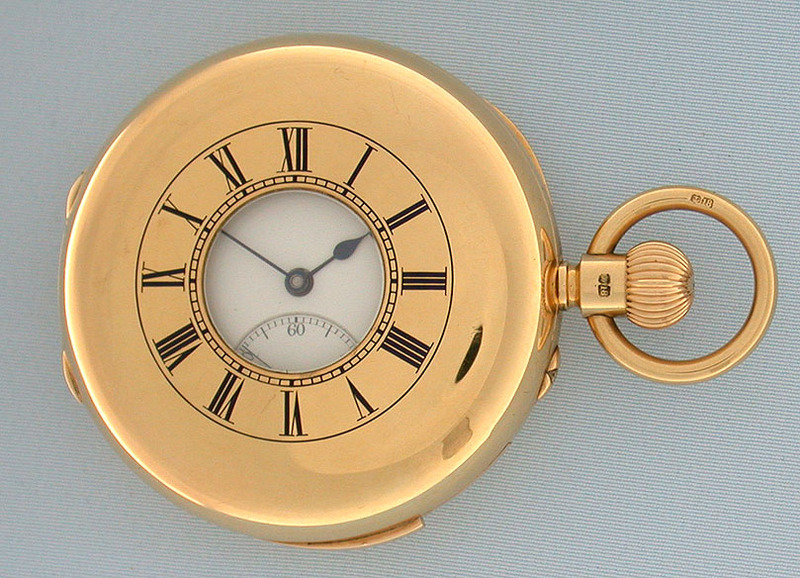 Fine and handsome English 18K gold demi hunter case 5-minute repeater antique pocket watch by the Army & Navy Cooperative Society, London, circa 1894. substantial plain polish case with enamed chapter ring on the cover and recessed repeater slide in the band. White enamel dial with black markers and blued steel hands. 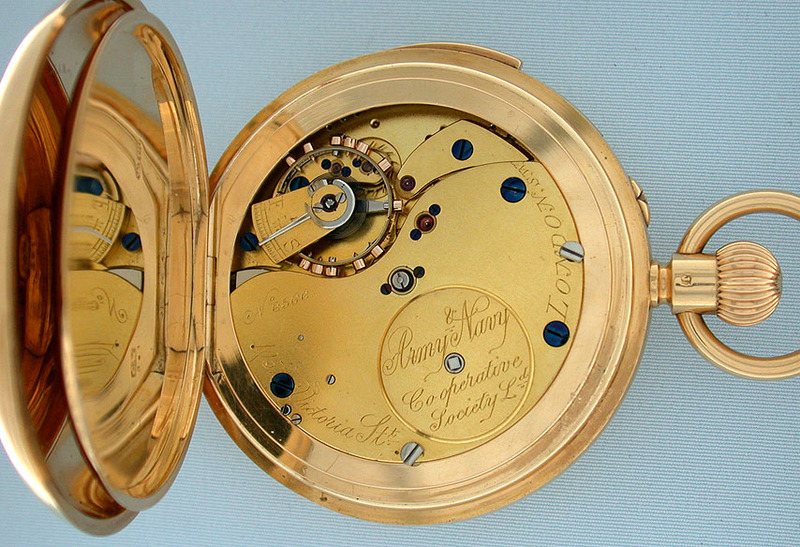 First quality gilt 3/4 plate 19 jewel movement with diamond cap jewel. 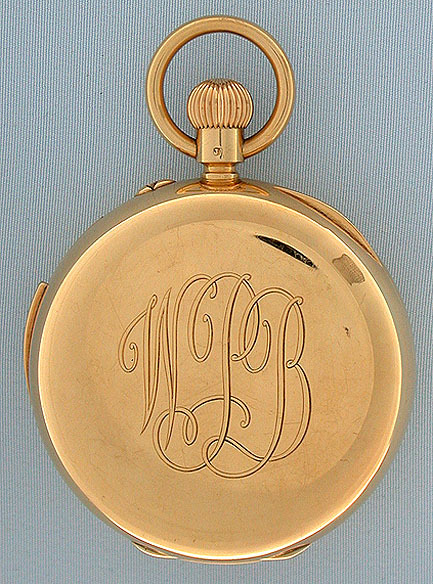 When activated, this watch chimes the time using different chime tones to designate the hours and 5 minute intervals with loud clear tone. 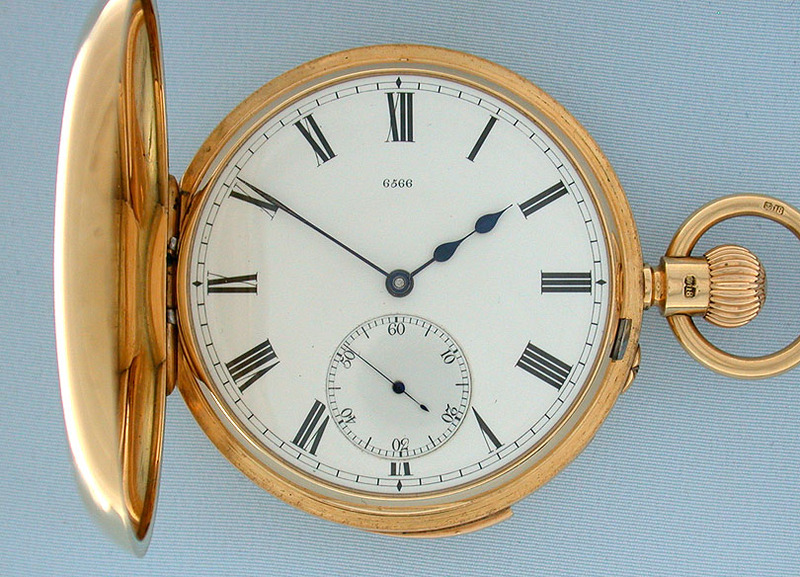 This watch is in particularly fine condition throughout.